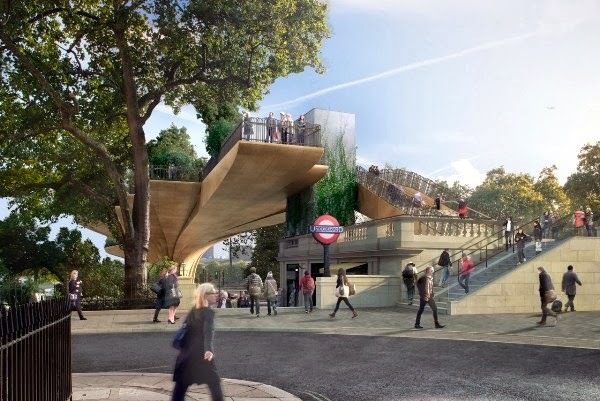 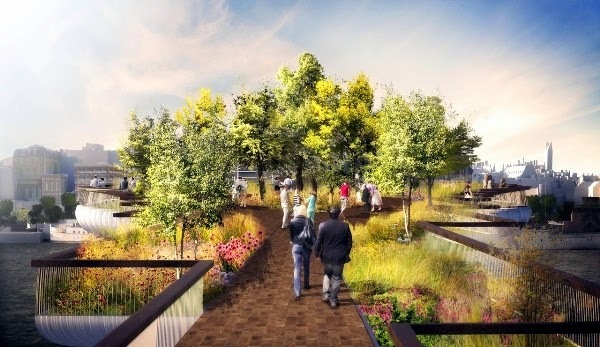 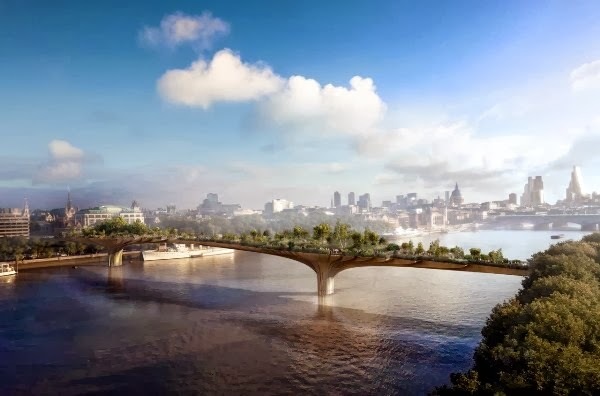 Designer Thomas Heatherwick has unveiled new images for his Garden Bridge in London, a proposal for a lush green space connecting the culturally vibrant Southbank to the less frequented area across the river Thames near Somerset House and Temple. 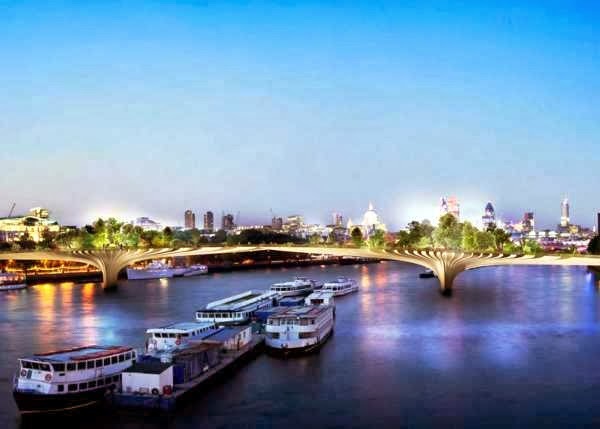 The design was conceived earlier in 2013 following a public call for proposals to improve pedestrian links across London’s river. 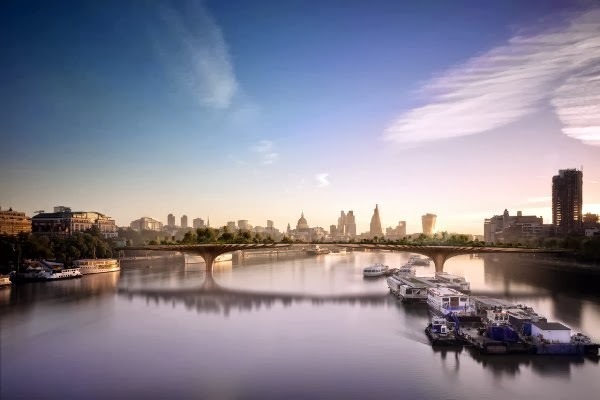 With the support of actress and activist Joanna Lumley, Heatherwick Studio has joined forces with engineering firm ARUP and landscape architect Dan Pearson to develop the proposal for the Garden Bridge. 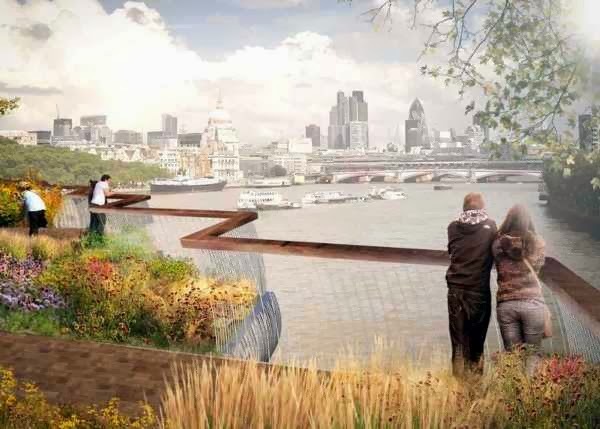 If the project is to be accepted following public consultation, the newly-created Garden Bridge Trust Fund will need to raise the necessary funds to start building the bridge in 2014 and reach completion by the end of 2017.